Fishing Boats off the coast of Miyajima. 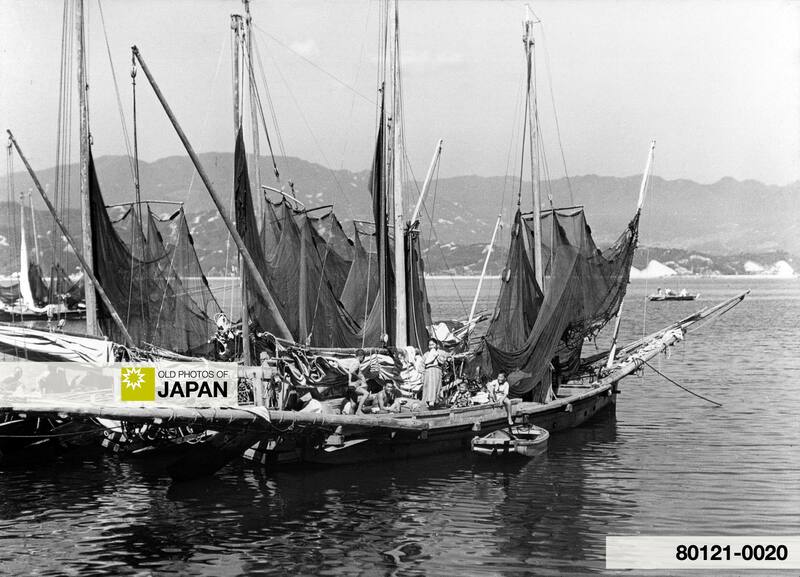 For information about Japan’s fish industry during the 20th century, read 1890s • Fish Shop. You can also licence this image online: 80121-0020 @ MeijiShowa.com.